Every day, your hands are exposed to irritating situations and substances. While most people think of skin peeling as an aesthetic problem, this dry skin around nails, rough fingertips, or scraggly cuticles can let harmful bacteria in, creating a bad situation. You should always take care of the skin by your nails, whether you are scrubbing your hands or a floor, getting a manicure, or going outside on a cold day. Preventing peeling fingernails will improve the beauty of your hands and keep them healthy. 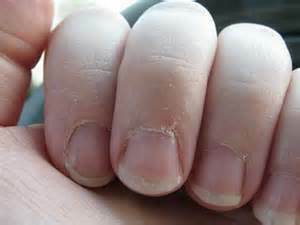 What Causes Skin Peeling Around Nails and How to Treat It Accordingly? There are numerous possible reasons, ranging from infection to complex internal diseases to simply washing your hands too often without moisturizing. If you don’t know your medical history or cannot tell the detail of your skin condition, it can be next to impossible to figure out why your skin is peeling or dry. Here are some of the most common causes and treatments to consider. There are multiple different allergens that can lead to negative skin reactions. You may be exposed to nail polish or other harsh chemicals, soapy water in large quantities, irritants in solvents or detergent, or even have an allergy to nickel or latex. Any of these can lead to peeling skin by the nails. Treatments: If you think your skin peeling around nails is due to an allergic reaction, try to avoid all the suspected allergens for three or four weeks and check for an improvement. Sometimes, a person’s nails will be in poor condition because they have a nervous habit, such as picking at or biting cuticles and nails. These habits can damage the area and cause skin infections. Another related issue could be dealing with a hangnail by ripping it off; instead, you should use a sterile tool to gently clip it at the base to prevent wounded or damaged skin. Treatments:When the damaged skin is due to bad habits, the easiest and simplest treatment is to stop those habits. Once you stop biting and/or picking at your nails, they will heal. It is common to believe that skin peeling can be directly caused by lacking calcium or some other vitamin deficiency. In reality, lacking calcium or other minerals will indirectly cause the peeling, but it causes dry skin that eventually flakes or peels. Treatments: To correct this issue, be sure to keep a healthy diet that offers the ideal balance of dietary fiber, vitamins, minerals, healthy fats, carbs and protein. Eczema: Eczema or atopic dermatitis is when the skin is inflamed and it leads to dry, itchy skin. Psoriasis: This common skin disease affects your skin cells, particularly their life cycle. Those who have psoriasis will notice the cells along the skin surface building up quickly and this process leads to your body forming silvery, thick scales in addition to painful red patches. Dyshidrosis: Dyshidrosis, also known as pompholyx or dyshidrotic eczema, is not very common. It involves small blisters filled with fluid appearing on your palms as well as the sides of the fingers. Treatments: Any time you suffer from a skin disease, you should visit your doctor right away. The doctor will diagnose the skin disease and suggest the proper course of treatment. When the disease clears, your skin around nails will stop peeling. In some cases, peeling skin near the cuticle can be due to a chronic infection, potentially due to moisture or yeast. Treatments: In the case of an infection, you will need to take antibiotics. You should expect the symptoms of the skin infection to start clearing up within 2 or 3 days after starting treatment and if it doesn’t get better or worsens, talk to your doctor immediately. This is especially important if the infection spreads or you get a fever. What You Can Do for Skin Peeling Around Nails at Home? The following home remedies can naturally soothe your skin without adding any harmful chemical. They are effective and easy to apply. You will get supple skin around your nails and the dry skin will fall off by following this method. Soak the hands in warm water for ten minutes daily. Consider adding lemon juice or honey to your warm water. Pat your hands dry and apply moisturizer or vitamin E oil. 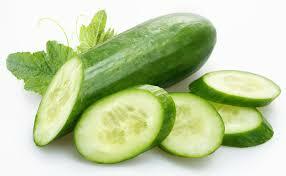 Slice a fresh cucumber thickly. Rub the slices along your skin, letting the skin absorb the juice. Another option is to grate the cucumber and apply it to the affected skin, leaving it in place for 30 minutes before washing it off using lukewarm water. You can do this daily. 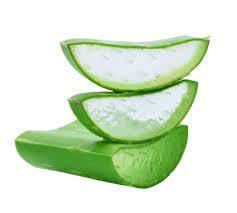 Aloe vera is soothing and cooling, helping it treat dry fingertips that are irritated or painful. The aloe also locks in moisture, protecting your skin from various infections. Create pure aloe vera gel by extracting it from a leaf. Apply it to your skin several times each day. Another option is to drink aloe vera juice (two tablespoons) each day, but don’t do so if you are pregnant or breastfeeding and never drink too much aloe vera as it has a laxative effect. 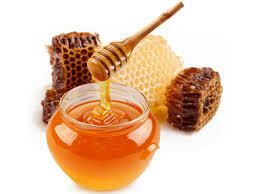 Honey moisturizes and heals the wound and has natural antibacterial properties. Rub pure honey (a small quantity) on your skin. Let it sit 10 or 20 minutes and then rinse it off using lukewarm water. You can also mix honey with olive oil and apply this to your skin every day. Another option is to mix honey with 2 to 3 teaspoons rosewater and 2 tablespoons sandalwood powder. Apply the mixture to the skin, letting it sit for 20 minutes before washing it off with mild soap and warm water. 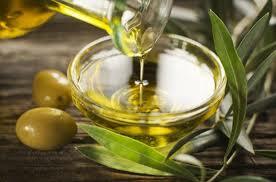 Olive oil works to moisturize dry skin and promotes healing. Heat a half cup extra-virgin olive oil slightly. Put the warm oil into a bowl, adding three drops lavender essential oil. Soak your fingertips in the solution for ten minutes. Rinse your hands using lukewarm water, pat them dry and use moisturizer.